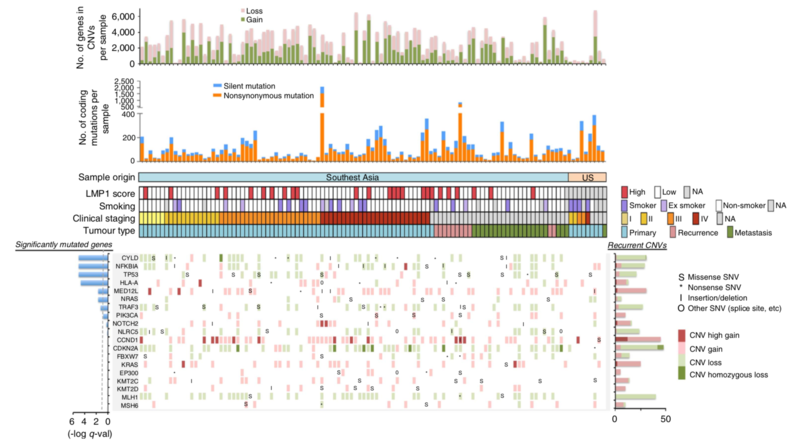 WES was performed on 111 unique tumour specimens derived from 105unique subjects. 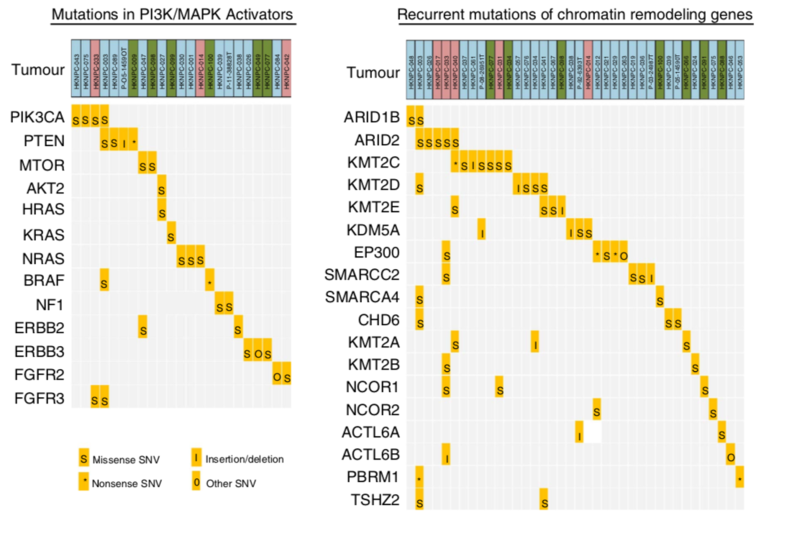 The cohort included 78 primary tumours, 11 local recurrences and 22 metastatic tumours. 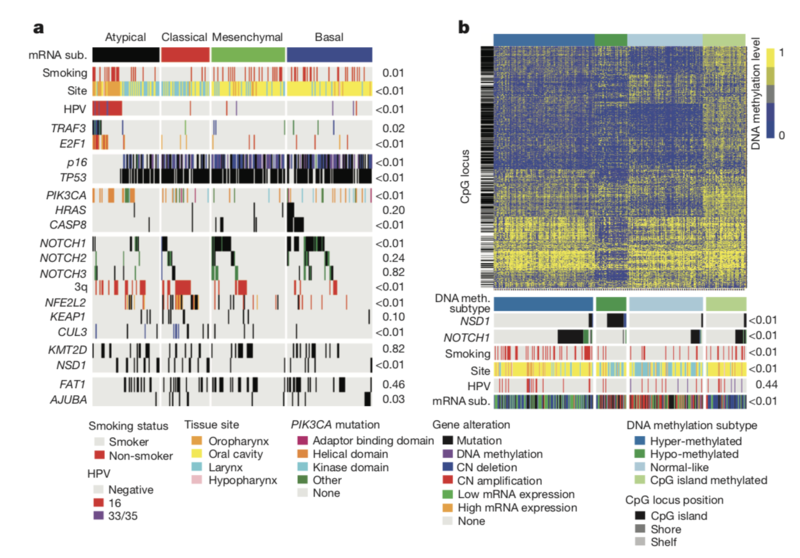 a cohort of 48 samples (between 24 nasopharyngeal carcinoma tissues and 24 normal nasopharyngeal epithelial tissues) to identify aberrant methylation genes. Two-paired experiment, Tumor vs. Adjacent Non-tumor Tissues. Biological replicates: 7 paired samples. 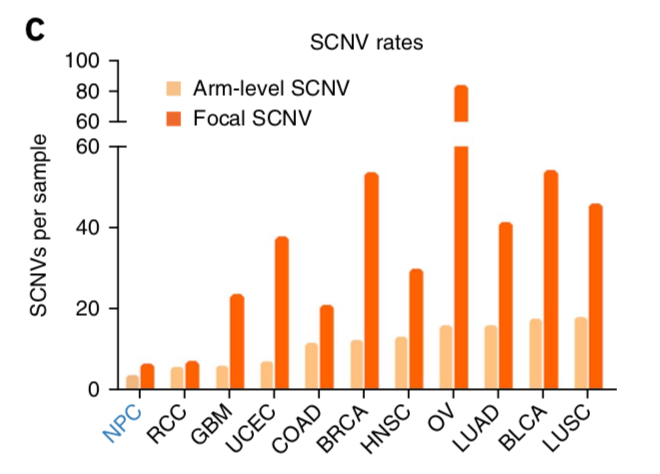 Total RNA recovered from two sets of cell lines (5-8F vs. 6-10B and S18 vs. S26) were used to acquire different expression profiles of mRNAs and lncRNAs in high metastatic potential and low metastatic potential nasopharyngeal carcinoma cell lines. Total RNA extracted from laser-captured epithelium from 31 nasopharyngeal carcinomas and 10 normal healthy nasopharyngeal tissue specimens. Sengupta et al, 2008, Proc. Nat. Acad. Sci. USA 105: 5874-5878. Snap frozen nasopharyngeal biopsies from 25 patients with histologically confirmed undifferentiated NPC were included in the microarray analysis. Controls were obtained from 3 patients with no evidence of malignancy. Total RNA extracted from laser-captured epithelium from 12 nasopharyngeal carcinomas and 4 normal healthy nasopharyngeal tissue specimens. 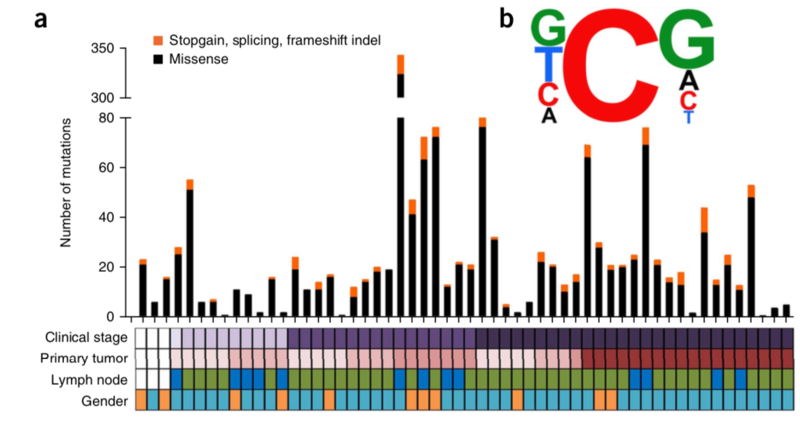 mRNA profiles of 42 Chinese Nasopharyngeal Carcinoma patients and 4 non-NPC tissues by Illumina Hiseq 2000.